Choosing the most suitable flooring for your stairs and landing will come down to your own personal taste and style, how many people live in your home and therefore how much footfall the hallway and landing will experience daily. As the hallway stairs and landing area are naturally high traffic spots, your flooring choice needs to be functional whilst also complimenting your home. Many people prefer neutral flooring for their hallway stairs and landing as it brings the whole house together. What should I consider when choosing the flooring for the hallways, stairs and landings? Consider how much traffic these areas of the house will experience and how often you want to be cleaning or replacing the flooring. 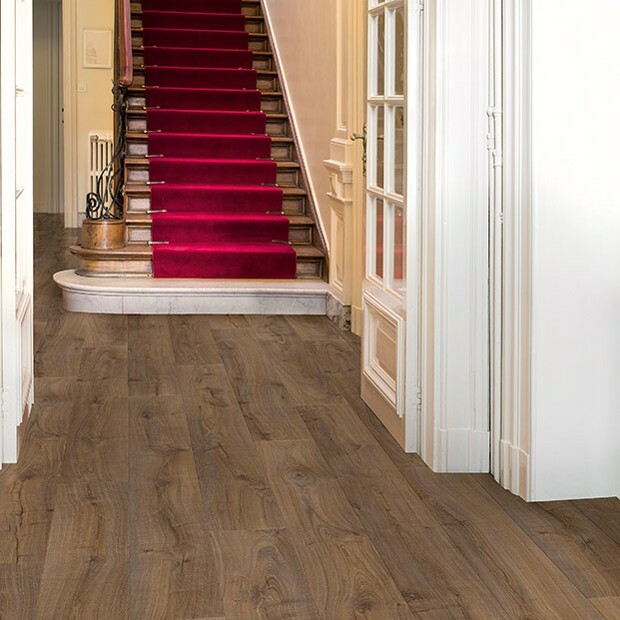 Laminate is a popular choice as it’s easy to fit and then upkeep, however, it can produce more noise when people are walking on it, but it’s still a popular option for stairs and hallways. It also depends on how much of a hall you have, if you have a huge hall upstairs which is likely to encounter a high footfall then laminate may not be the best choice as it will be very noisy for anyone downstairs. If you live in a bungalow or live in the bottom floor flat then this won’t be as much of an an issue for you. What should I consider when choosing the flooring for the hallways stairs and landing? 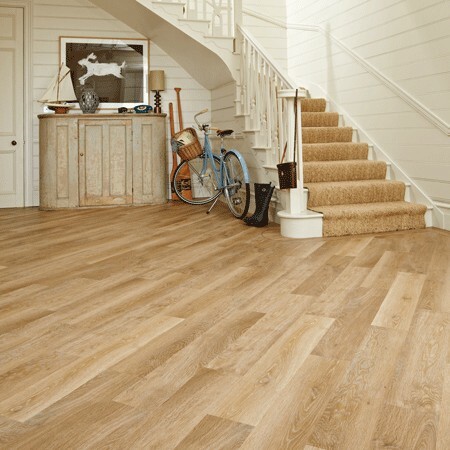 Laminate flooring is a popular choice for the stairs and landing as it’s easy to maintain and suits most interiors. 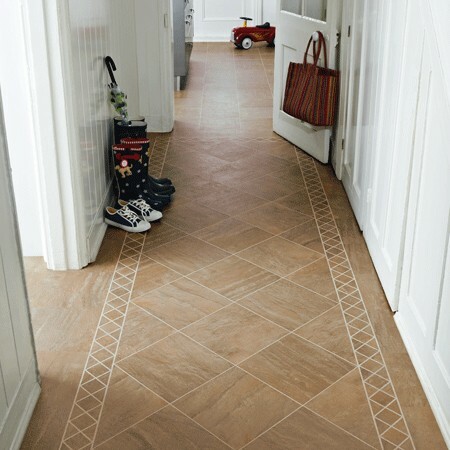 It also has a fresh and neutral look so you can change the decor in your hallway and you won’t need to change the flooring, making this type of flooring timeless and cost efficient. Some people may not want to choose laminate flooring as it can feel cold, but rugs help to make a room feel warm and as you won’t be relaxing in the hallway or on the stairs it’s not as important as a living room or bedroom. 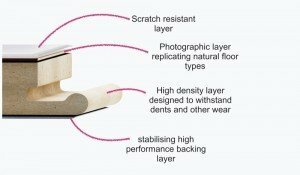 View the BestatFlooring full laminate range here. Solid wood or engineered wooden flooring in your landing and on your hallway stairs is a fantastic way to create a modern and fresh look in your hall, which is a great first impression. View the BestatFlooring solid wood range here and the engineered wooden range here. How do I pick the right floor for my stairs? It can be a difficult choice picking the right flooring for stairs as they experience such heavy traffic so the material you choose needs to be able to withstand this amount of footfall. It may not matter as much if you live by yourself or just with your partner but it will matter if you live with a big family and have pets. Carpet is probably the most popular choice when it comes to picking flooring for your stairs, because it reduces noise, feels comfortable and can withstand heavy traffic. 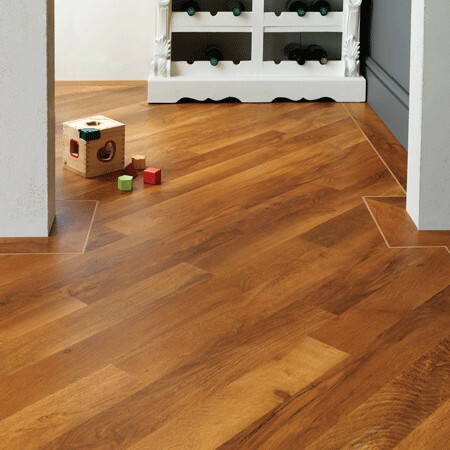 However, laminate and solid wooden floors are also very popular as they look sophisticated, simple and elegant. So it comes down to what you would prefer. What colours work well for the hall or stairs? If you want to go with carpet for you’re the landing or the stairs then many people tend to go for neutral colours, such as beiges or light browns. This is because the hallway isn’t a room which you will use often, you just use it to move from room to room, so all it really requires is simple décor. Something which makes a fantastic first impression and brings all the rooms together. 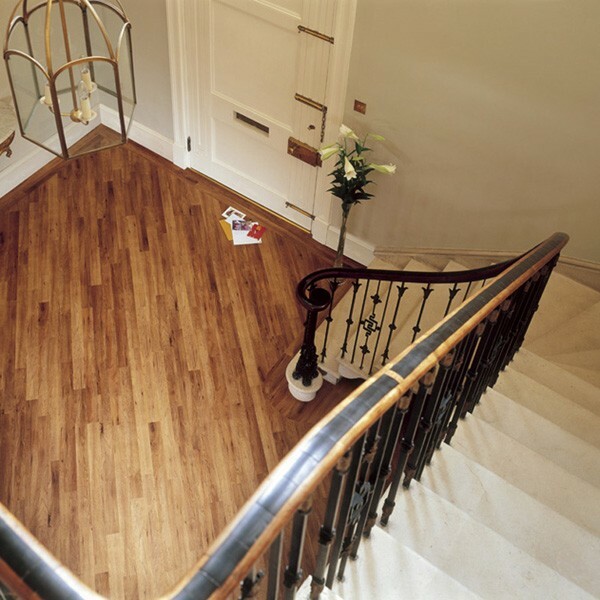 If you want laminate, solid wood or engineered wood in your hallway stairs or landing then the colour and design you choose is completely down to you. You may prefer a lighter colour depending on the interior of your hall and the rest of your home or you may prefer something darker. Generally, not many people use bold or bright colours in a hallway and most tend to steer towards more neutral colours. This is because many landings or hallway stairs are small so bright colours could make the space feel smaller, plus, a neutral colour scheme creates a fresh and modern look.